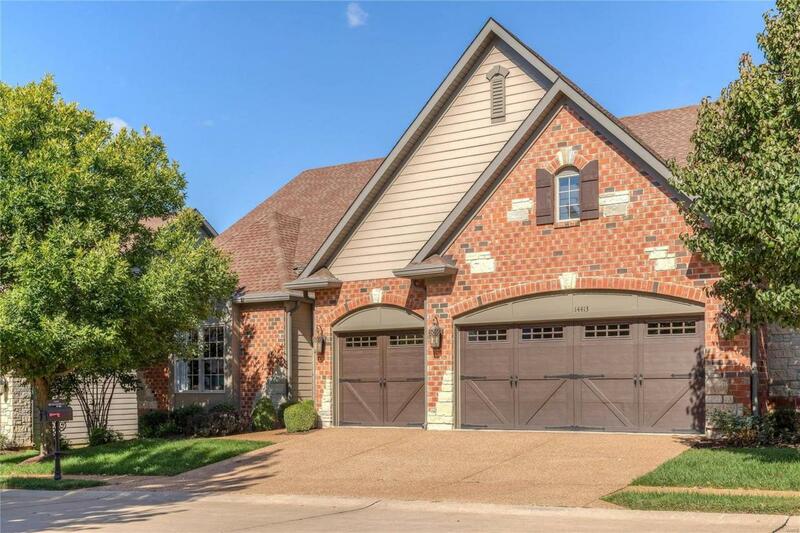 An impressive brick & stone elevation highlights the remarkable curb appeal of this luxury 1-sty villa! 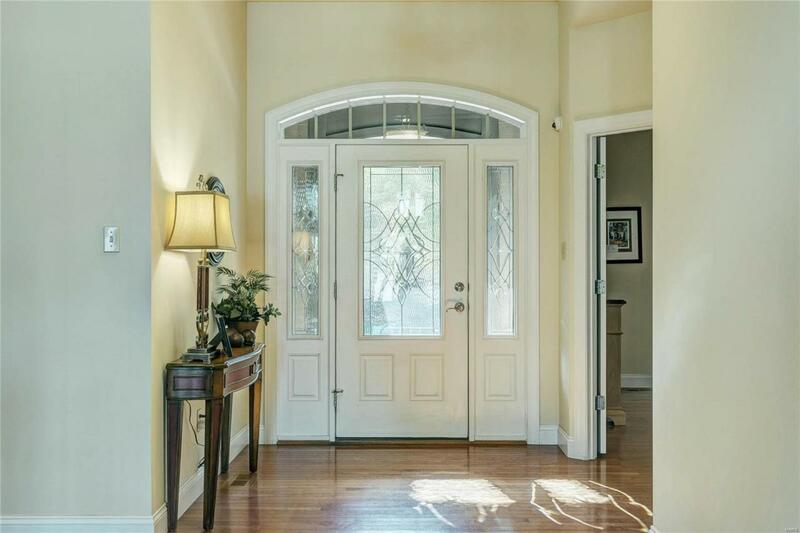 Classic-styled home with open floor plan designed for easy living & gracious entertaining. Impressive hardwood foyer leads to sophisticated dining room with octagonal ceiling & architectural columns and spectacular great room highlighted by marble fireplace with artisan-crafted mantle & display cases. 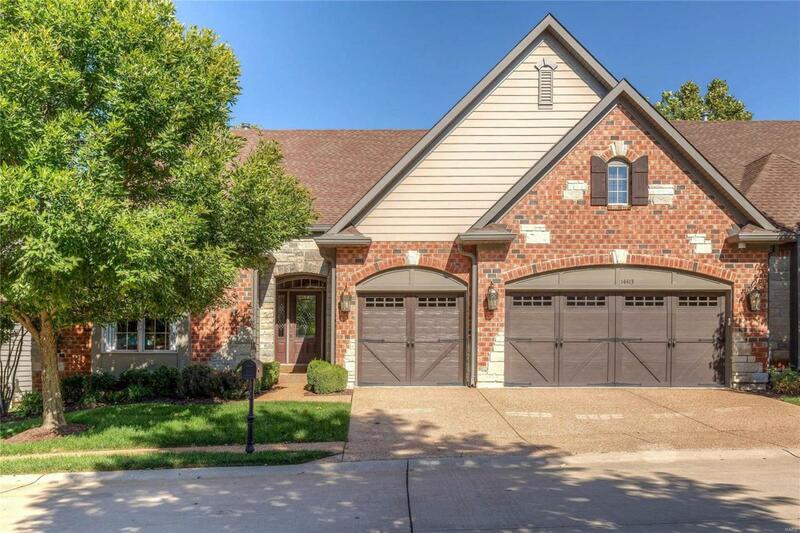 Designer kitchen with 42 cherry cabinetry, granite countertops, KitchenAid appliances & butlers pantry adjoins light-filled breakfast room with atrium door to patio. 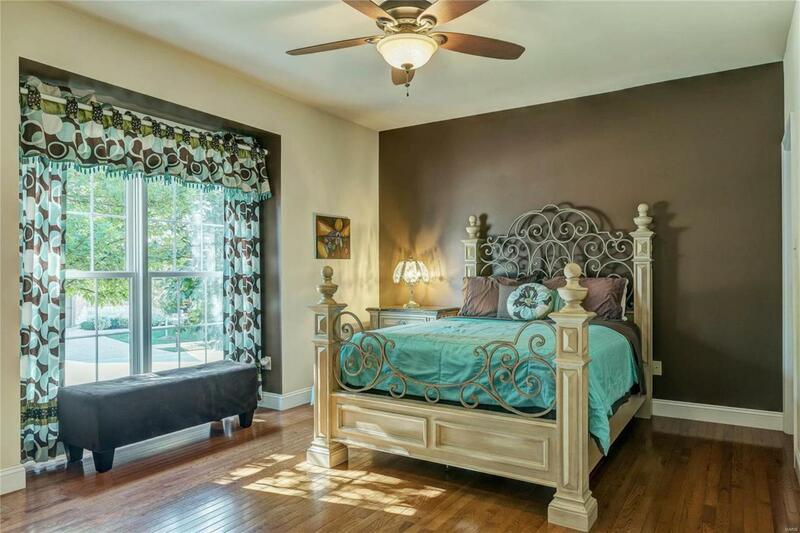 Coffered master bedroom suite with walk-in closet & lavish bath with jetted tub offers a relaxing retreat. A 2nd generous-sized bedroom, full bath & convenient laundry complete the main floor living quarters. Lower Level entertainment area includes media room & recreation room with wet bar plus 3rd bedroom, office, workout room & full bath. Situated on a professionally landscaped cul-de-sac lot with patio & 3-car garage.